We've had an absurd amount of snow in Seattle over the past week and I've spent a lot of time reading and, I'll admit it, watching television. The two are starting to overlap these days, as television mines the rich field of books for new programming. Some of the big books of recent--and not so recent--years are now on the small screen as episodic series. Here are a handful that I loved in book form and would also recommend for your viewing pleasure. In 2017 Neil Gaiman's bestseller about a modern day war between ancient gods and new gods was made into a series on the STARZ channel and the first season had me hooked. The actors who play the lead characters, Shadow and Mr. Wednesday, are fantastic and the story line feels true to the book. 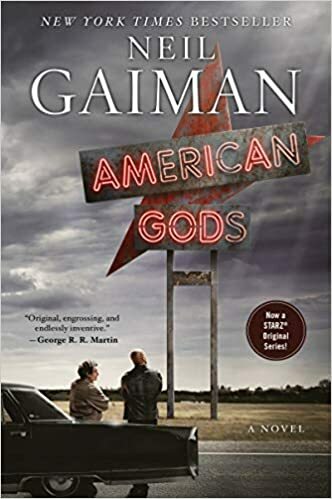 Watching the TV series (late to the party, I'll admit) has inspired me to re-read American Gods and I better start that now because season two airs on March 10th . You couldn't ask for a better cast to tell the story of a group of women who have seemingly perfect lives until a newcomer moves into their idyllic community and secrets start bubbling to the surface. 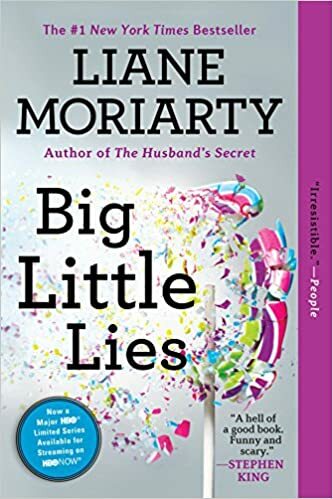 The first season of Big Little Lies was a huge success (Golden Globe and Emmy wins) and viewers wanted more, so HBO is delivering a second season with the help of author Liane Moriarty. Meryl Streep is joining the cast (!) and we just heard that season two will air in June, so if you haven't read the book or seen season one, there's still time to catch up. 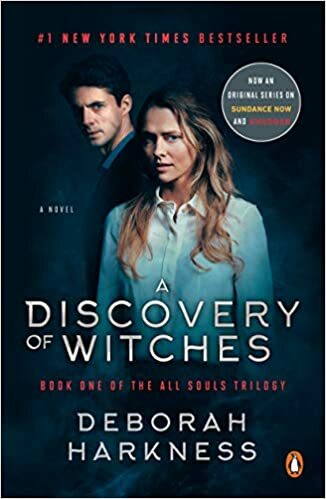 A Discovery of Witches is the first book in Deborah Harkness' All Souls Trilogy but the television series--a UK import--is based on all three volumes. The story revolves around Diana Bishop, a scholar descended from powerful witches, and an enchanted manuscript that may hold the key to secrets of the supernatural world. An ancient vampire joins Bishop's search for answers and love is in the dank air. The UK channel that launched the series has signed two more seasons and the first season started streaming in the US last month on Sundance Now and Shudder. An outlier for a TV adaptation, Samin Nosrat's cookbook is more than just a bind up of recipes. Before you see a single roasted chicken, this bubbly author, cooking teacher, and chef, teaches you the fundamentals of cooking using four key elements. Nosrat came to visit in 2017 when Salt, Acid, Fat, Heat was published and she told us then about the upcoming Netflix show and her hopes for it's success. Congratulations, Samin! 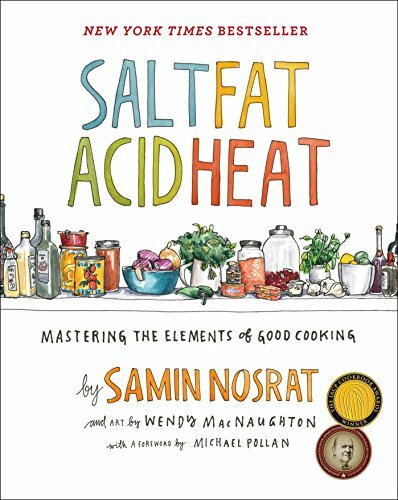 The show has been incredibly popular and Salt, Fat, Acid, Heat has once again hit the top seller lists. 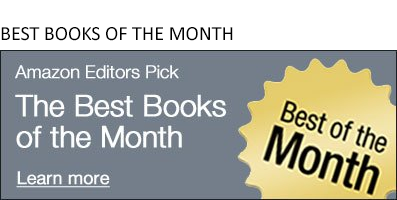 We loved this twisty thriller and put it on our list of the Best Books of 2017. 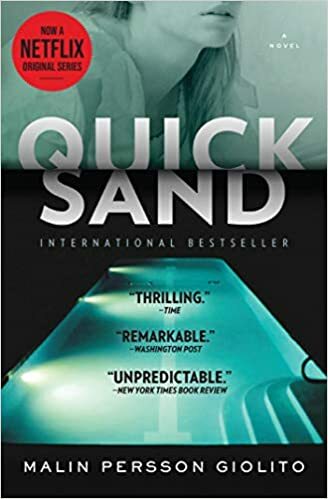 A Swedish courtroom drama centered around a prep school shooting, Quicksand is about to be a Netflix original series. We'll get our first look at the television adaptation April 5th so there's still time to read it before you watch. We're also looking forward to reading the author's next novel, Beyond All Reasonable Doubt, which releases on June 4th.